Girl power comes to dress up in this game that provides aspirational role models for girls, including many jobs in STEM. If they play the role, they can be the role! Dress Up Gets Girls Powered Up! What do you want to do when you grow up? Cool Careers Dress Up for Girls is expanding the possibilities for girls. 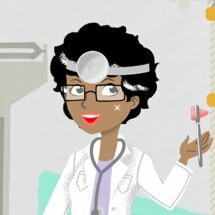 Instead of dressing up virtual dolls as princesses, models, actresses, and fashionistas, this app wants little girls to see that they can be doctors, judges, race-car drivers, senators, scuba divers, astronauts, surgeons, firefighters, scientists, computer programmers, police officers, mountaineers, pilots, and ship captains. The doll is center stage, and on the left are 14 different ways to customize your virtual model. Little girls can make their doll look like them or someone different by selecting a skin color, eye color and shape, mouth, hairstyle, and hair color. 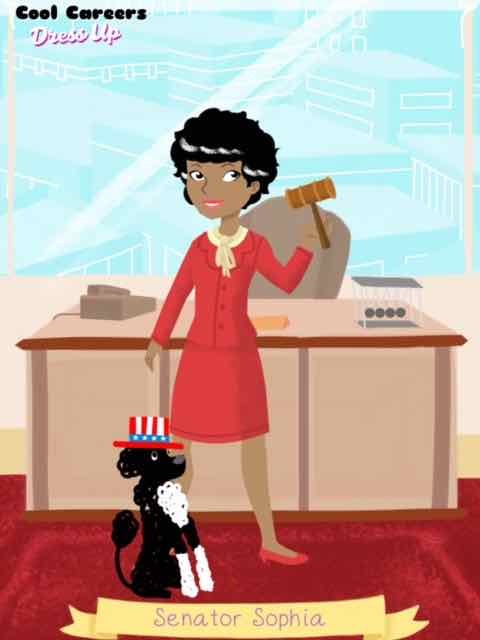 To create the look of a profession, girls choose the clothing, shoes, helmets and hats, glasses or goggles, gloves if appropriate, and a professional artifact -- such as a gavel for a judge or a beaker full of a liquid for a scientist. They can also add a pet dressed up to match their profession. 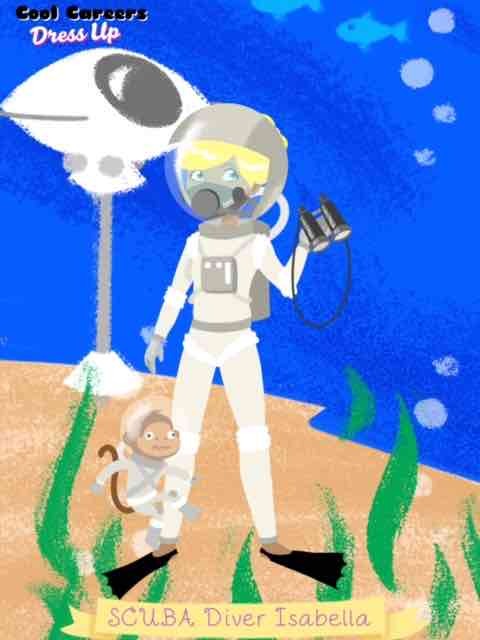 To finish off their creations, girls handpick a background, with choices running the gamut from inside a doctor's office to orbiting earth in space to exploring the ocean floor. The app also allows girls to name their creations. A cool feature is the ability to randomize the choices by tapping on the dice icon. Girls can then personalize and change the choices made by the app. In this mode, the app suggests a name of the doll, such as "Doctor Anne." Cool Careers Dress Up for Girls is clever in how it supports the nationwide movement to cultivate girls' interests in STEM (Science, Technology, Engineering, and Math) jobs. It uses the traditional play pattern of little girls playing dress up and modernizes it by adding aspirational role models. Like the GoldieBlox toys and app, this app finds a way to entice girls to play it, and then broadens their horizons. Kudos to Laura Tallardy! A photo of the professional dolls created can be saved in the camera roll, and then shared from there. 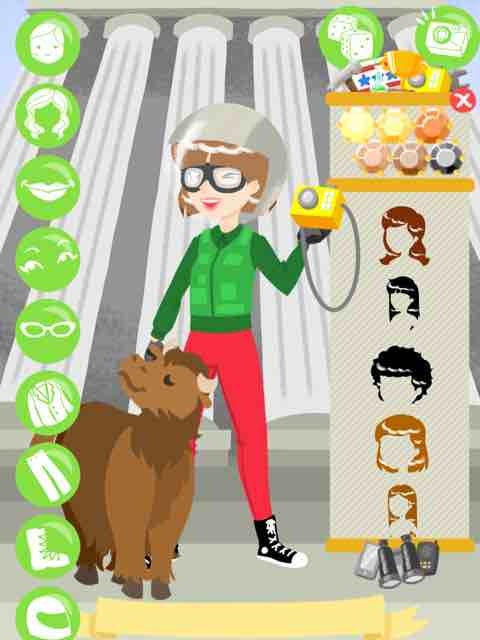 Cool Careers Dress Up for Girls is a breath of fresh air in the cloying, over-crowded arena of dress up apps for girls. It will help girls to think about their futures in new and exciting ways. 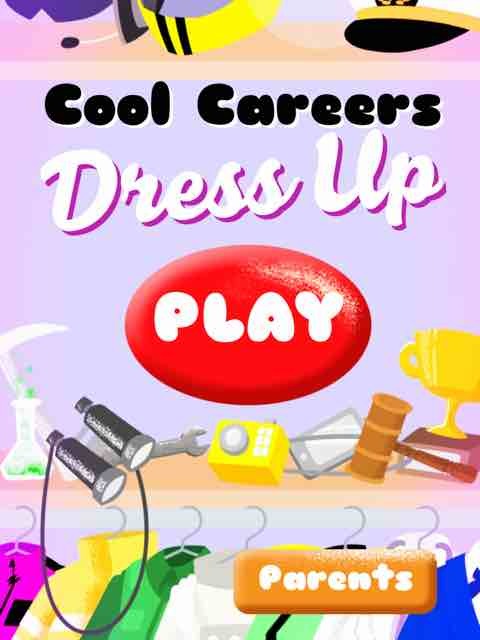 Cool Careers Dress Up for Girls is best for all little girls who enjoy dress up games. If they play the role, they can be the role! 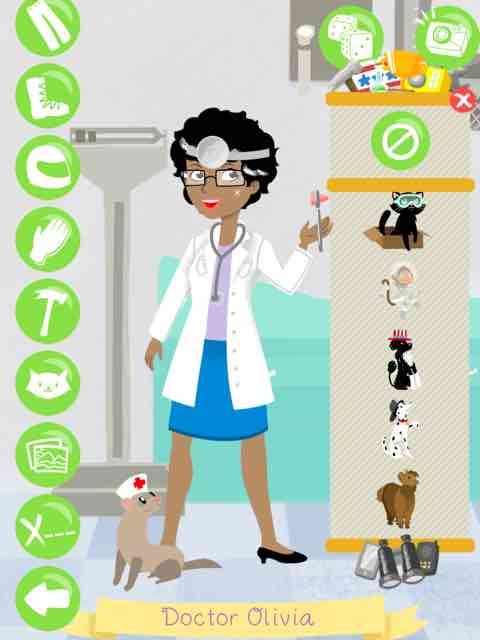 This Cool Careers Dress Up for Girls app review was written by Jinny Gudmundsen.